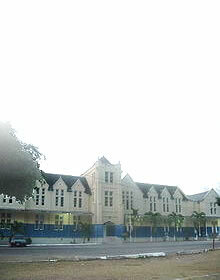 The Church of the Good Shepherd has its origins in a mission school for the East Indians of the area. Maurice Wortley, the youngest son of the Reverend Canon E. J. Wortley, spent much of his leisure visiting the Indians who had settled in Constant Spring. According to Mansingh, Indians came to Jamaica after emancipation under indentureship contracts to work on sugar plantations for a specific period before being entitled to return passage. The scheme brought 36, 412 persons from India between 1845 and 1917. After their contracts expired, 12, 109 individuals returned to India, while the rest remained in Jamaica. Wortley promised his assistance in establishing a school at Constant Spring for the Indians’ children, but unfortunately, he was killed in the First World War at Loos in 1915. Nevertheless, his sister, Dorothy Wortley, continued the work. In February 1916, a bamboo shed was erected on a site that was given for the purpose of a school by John Farquharson. 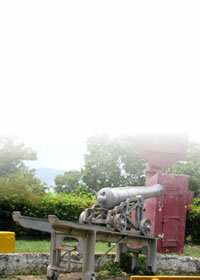 The site was conveniently situated to serve both the Indian settlements at Constant Spring and Swallowfield. A daily school was started with eight children. Canon E. J. Wortley and his wife, Bertha (parents of Maurice Worltey) started a Children’s Home in 1918, on the grounds of the rectory of the St. Andrew Parish Church, in memory of their son. After the Canon’s retirement in 1921, they transferred the home to land adjoining their home at “Maurice Hill” at Constant Spring. In 1926, Canon Wortley with five pounds in hand, began to build a beautiful little church on a nearby site also given by John Farquharson. The edifice was designed by Canon Wortley and was built with voluntary labour and other monetary contributions. It is said that on several occasions the construction was halted as the Canon refused to put material that was unpaid for into the building. In 1927, the building was completed debt free and consecrated to the Good Shepherd. This church was specially dedicated to the work of the Church of England in Jamaica among the East Indians and was also for the use and benefit of the Wortley Home. To the Glory of God And In Loving Memory of Canon Wortley, Who built this Chapel for the use of East Indians and the Wortley Home. This tablet is erected by his East Indian Friends. Other East Indian Friends also enabled three memorial stained glass windows to be installed above the altar in recognition and appreciation of the work of the Wortleys. In the churchyard are the graves of Edward and Bertha Wortley and in a sense they provide a continued Wortley presence. The Reverend Canon Jocelyn Wortley was a clergyman of the Church of England. He studied in New York at the General Theological Seminary from 1881 to 1883. He graduated with his Bachelor of Divinity and returned to Jamaica to be ordained. He had an illustrious career in the island, his appointments included: Incumbent of Holy Trinity, Montego Bay 1883 to 1886, Rector of St. Peter, Port Royal 1886 to 1888, Curate of the Cathedral, Spanish Town 1890 to 1892, Rector of the Cathedral 1892 to 1900, Canon of the Cathedral 1899 to 1900 and Rector of St. Andrew Parish Church 1901 to 1921. He was also appointed an Honorary Canon of the Diocese of Jamaica. During his retirement, he started and served the Church of the Good Shepherd. His wife assisted him in the latter endeavour. She continued overseeing the Home after the death of her husband until she passed away in 1940. Inside the Church is a tablet in memory of Bertha Evangeline Wortley. The Church has always been the centre of life of the Home and one of the original East Indian Boys, Reverend Canon Harpaul, became priest in charge of Woodford and other missions in St. Andrew. 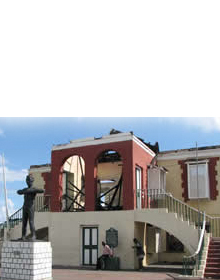 After the 1951 hurricane, the Church was renovated and rededicated. In 1978, when the Church was again in need of repairs, it was restored by the Anglican Diocese on the condition that it would be opened to the community in general. In the same year, it was rededicated by Bishop Edmondson and since then, the Church of the Good Shepherd has been serving the community at large. In 1984, the St. Jude’s Anglican Church in Stony Hill, took over administration of the Wortley Home as an Outreach Project.